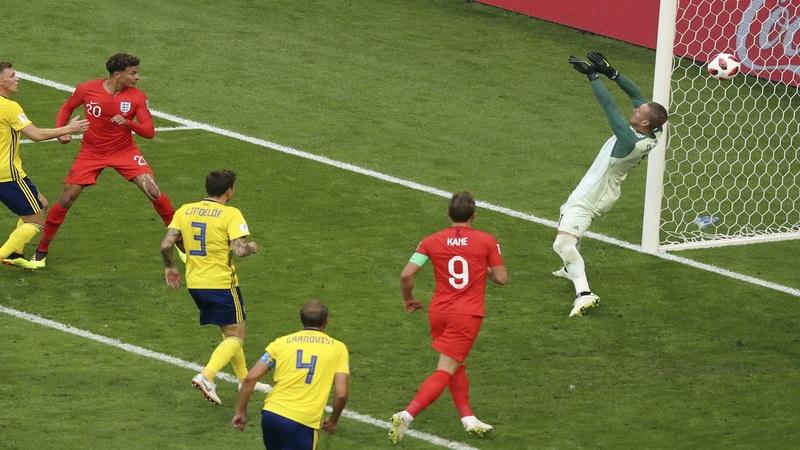 England's Dele Alli, 2nd left, scores his side's second goal during the quarterfinal match against Sweden at the 2018 football World Cup in the Samara Arena, in Samara, Russia, Saturday, July 7, 2018. (AP Photo/Thanassis Stavrakis). He stretched the opposing defense with incisive runs. He constantly ran away from his markers with close ball control and bursts of pace. He was a blur of movement, creating space for his teammates. The problem for Raheem Sterling was he didn't score for England against Sweden on Saturday, and hasn't scored at all at the World Cup. In fact, he hasn't scored for his country since Oct. 9, 2015. And that's how many will judge one of the most scrutinized members of a young England team that is really starting to make a name for itself in Russia. "There are people that are going to be frustrated with his end-product in terms of scoring goals," said former England defender Rio Ferdinand, speaking in his role as a TV commentator for England's 2-0 win over Sweden. "But what he's doing is he's a threat." 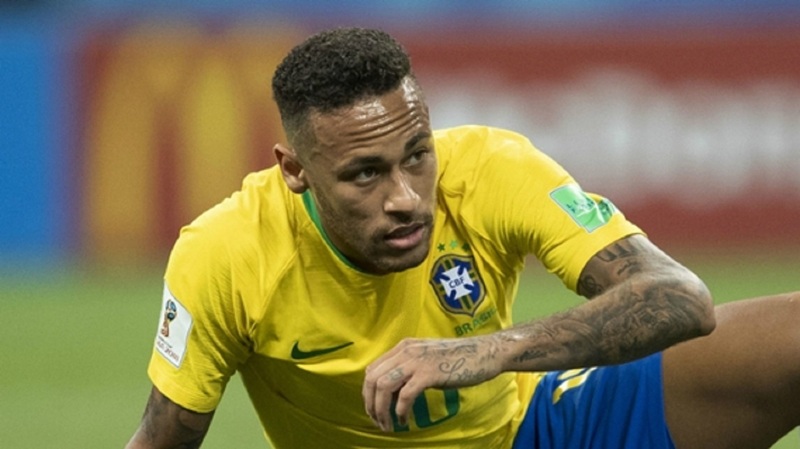 Enough of a threat to keep his place in the team that will play in the semifinals in Moscow on Wednesday, especially with Jamie Vardy — a potential replacement up front — currently out with a groin injury. So much of what Sterling did against Sweden in Samara was good and he received a warm embrace from England coach Gareth Southgate when he was replaced by Marcus Rashford in the first minute of stoppage time. There's no doubt, though, that he will be disappointed in his finishing, a department of his game that improved so much this season when he scored 23 goals in all competitions for Manchester City on its way to a Premier League-League Cup double in English soccer. The 23-year-old Sterling is playing in a different position for England than for City, where he is a right winger. In Russia, he is basically playing as a central striker alongside Harry Kane, meaning he is likely to get in more central positions to score. Where Sterling often struggles is when he has too much time when faced with a one-on-one opportunity against a goalkeeper. He had two of them late in the first half against Sweden and was denied by Robin Olsen both times. It revived memories of similar chances spurned for City in Premier League matches at Stoke and against Manchester United late in the season. His finishes were rushed and lacked conviction, and it's clear Sterling is much better when coming from deeper positions and getting on the end of cut-backs or crosses from the wing. Another scoring chance against Sweden came when he attempted an overhead kick from a sharp angle on the edge of the six-yard box. 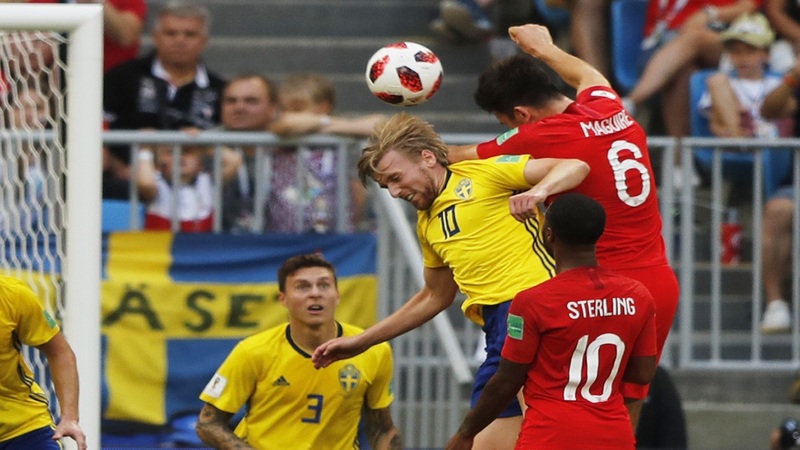 It was blocked and Sterling looked frustrated, like he did minutes later when Sweden defender Emil Krafth made a last-ditch clearance just when it seemed Sterling was primed to convert a cross from Kieran Trippier. The longer he goes without a goal — and it's now more than 1,000 minutes since he last scored for England — the more criticism he will receive from people who value goals over all-around performances. Yet, Sterling is not the kind of player to give up. 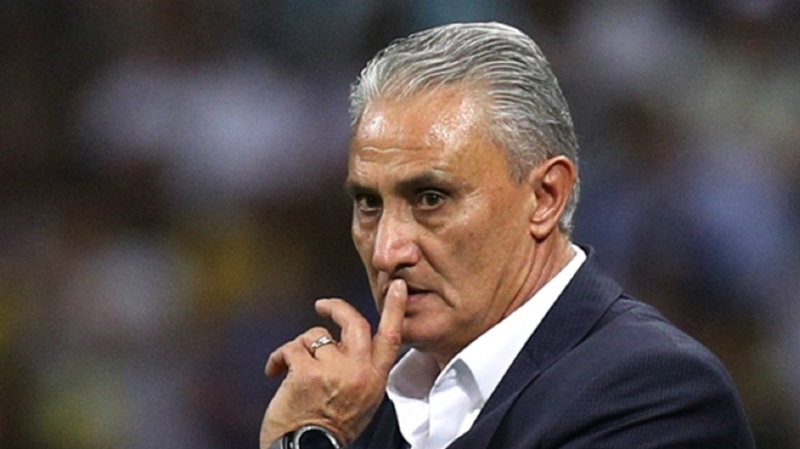 A month ago, he reported late for a World Cup training camp and apologized to his teammates after being taken aside by Southgate. Some of Sterling's critics argued he should have been dropped for not taking his international commitments seriously enough. Southgate gave him another chance, and Sterling would love to repay his coach with a goal. If he saves it for the World Cup final, he'll be quickly forgiven.